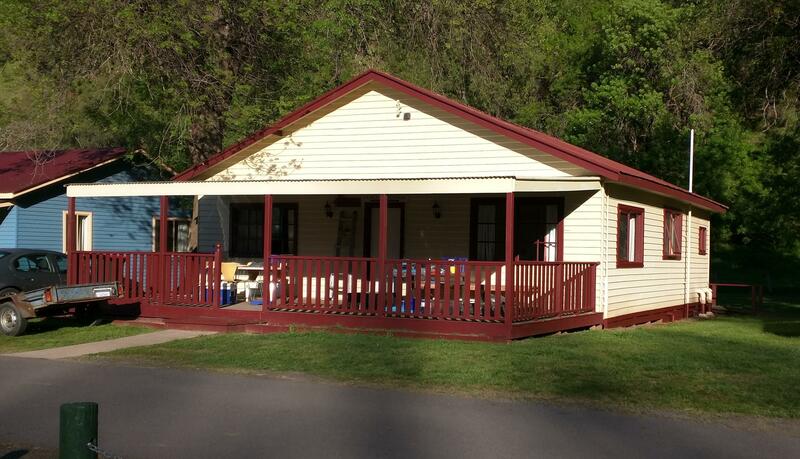 See our new webpage for the all the Licola News!!!! Licola 2017, the kids had a great time!!!! 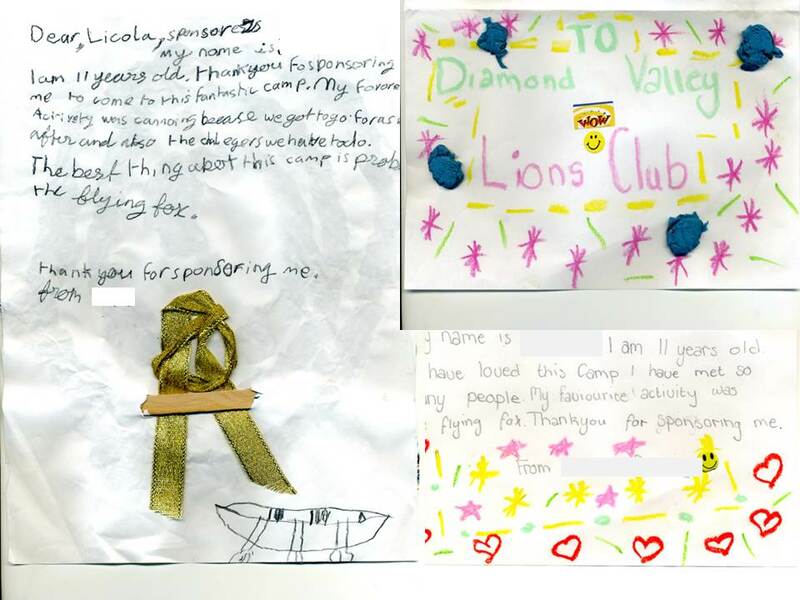 Diamond Valley Lions in conjunction with the Blue Light Disco had the pleasure of send five local kids to Licola Summer Camp, these are the great letters of appreciation that we received!!! Whew, we sure got lucky with the weather yesterday, the crowds were a little down on past years but we managed a respectable 48kg of snags. A fun day with plenty of support and caught up with many friends including Micks friend Hendrick and Anthony C. who looks 100% better since last we saw him. Doug flogged $140 odd of cakes and managed to tell those not ready to buy to go to Mitre 10 and Nillumbik cellars closer to Christmas. 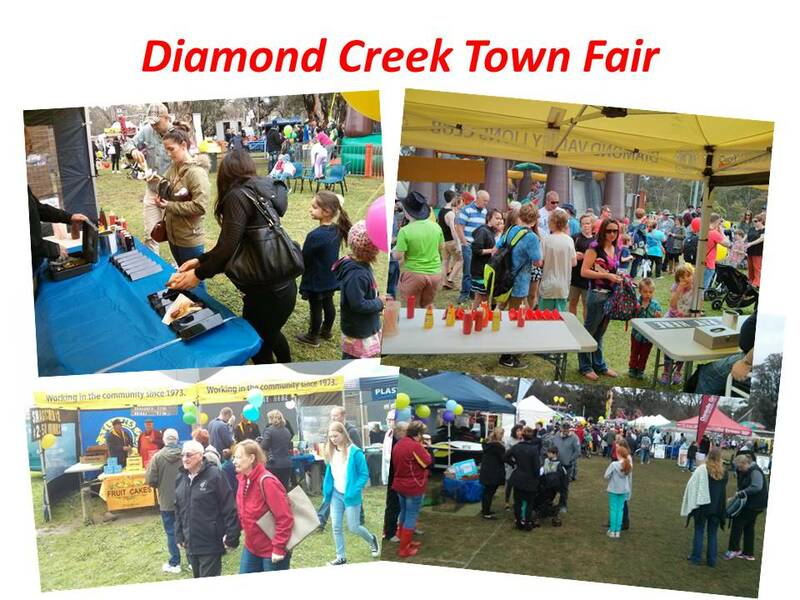 Diamond Valley and Nillumbik Lions joined forces for Daffodil Day in support of the Cancer Council on 26/27th August at the Greensborough Plaza, it was great to see so many new members enjoying themselves, we raised nearly $3000!! We were supported by Melvin The Lion!!! 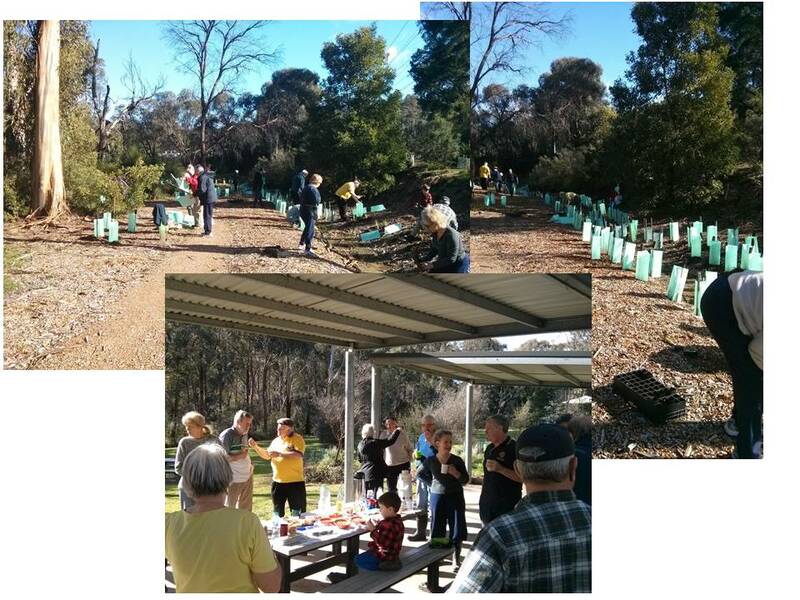 Members of Diamond Valley Lions Club joined the Friends of Watery Gully and many local volunteers for National Tree Day. We had a great turn out and planted 200 trees, Lions cooked a barbeque and coffee and biscuits afterwards. Christmas Cakes - Best Ever!!! 2016 Christmas Cake sales were the best ever, we sold the equivalent of 40 shopping trolleys of cakes and puddings! 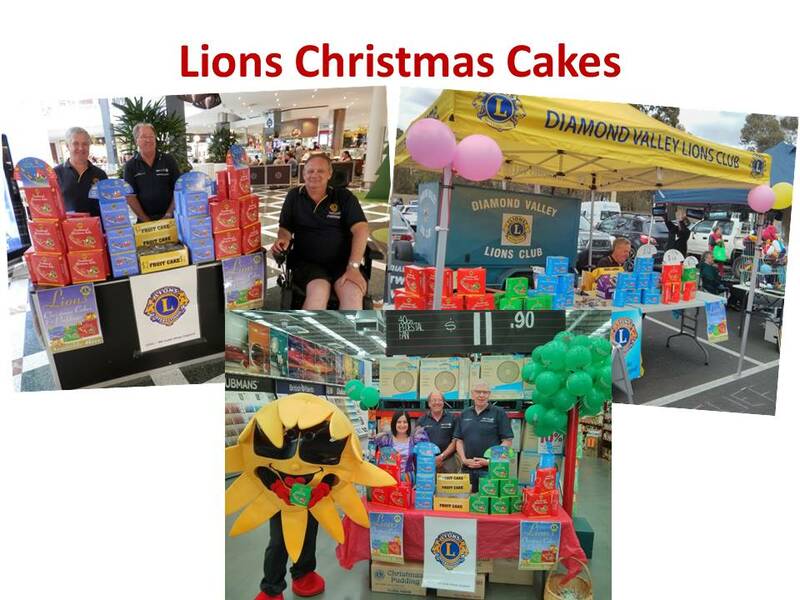 We could be found at the LaTrobe Market, several Bunnings, Greensborough Plaza and our many retail outlets including Mitre 10, The Vines, NAB and Westpac Banks, RACV shops, and Sculli Bros. Well done to Doug Wilson and all his helpers. We are seeking for corporate outlets for 2017. 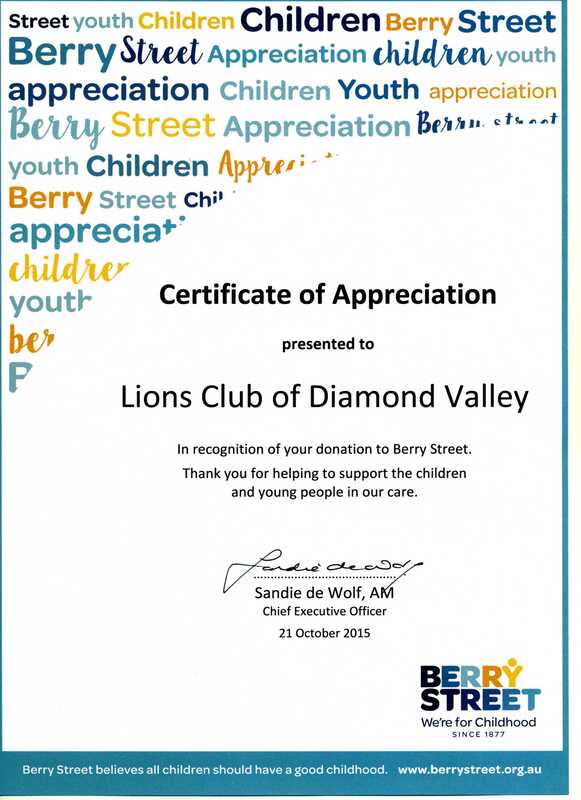 Diamond Valley Lions continues its ongoing support of Berry Street Kids. Since 1877, Berry Street has chosen to work with children, young people and families, with the most challenging and complex needs. Last year Berry Street helped over 27,000 of the most disadvantaged children, young people and families across our community. 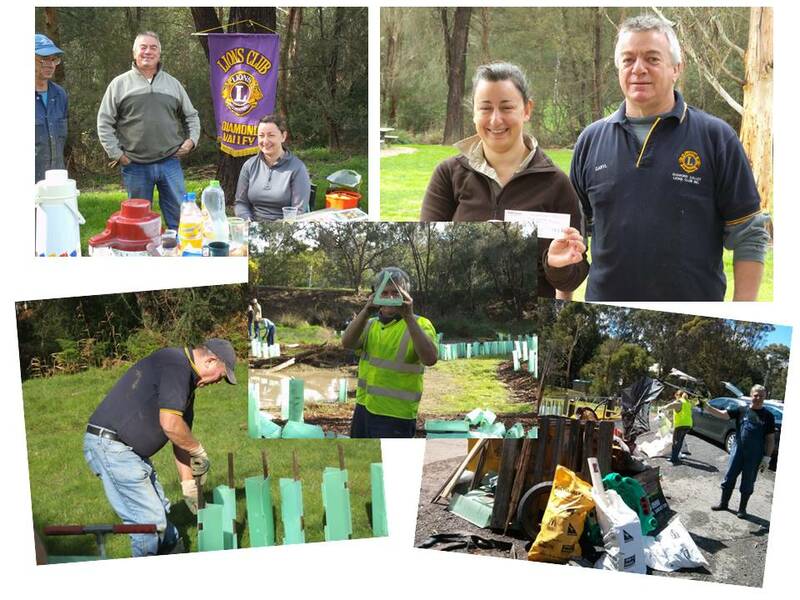 Diamond Valley Lions supports the Friends of Watery Gully, Diamond Creek on National Tree Day and Clean Up Australia Day. This year over 350 young trees were planted! The Friends of Watery Gully are involved in activities such as planting, weed control, mulching, plant and animal monitoring and water quality monitoring. 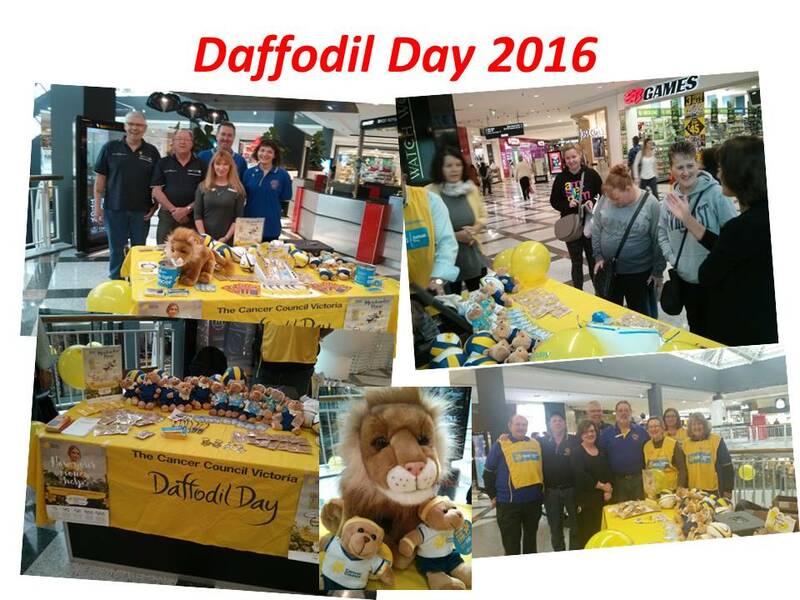 Diamond Valley Lions supported Daffodil Day at Greensborough Plaza 28/29th August, It was a great day, we have put our hand up for 2018!!! Greensborough Plaza generously donated the area for the stall. Level 3. Sincere thanks go to everybody who generously supported Daffodil Day, all of the merchandise items sold out! Over $3,000 was raised, all of which will be forwarded to the Cancer Council. A fantastic time was had by all!!!! 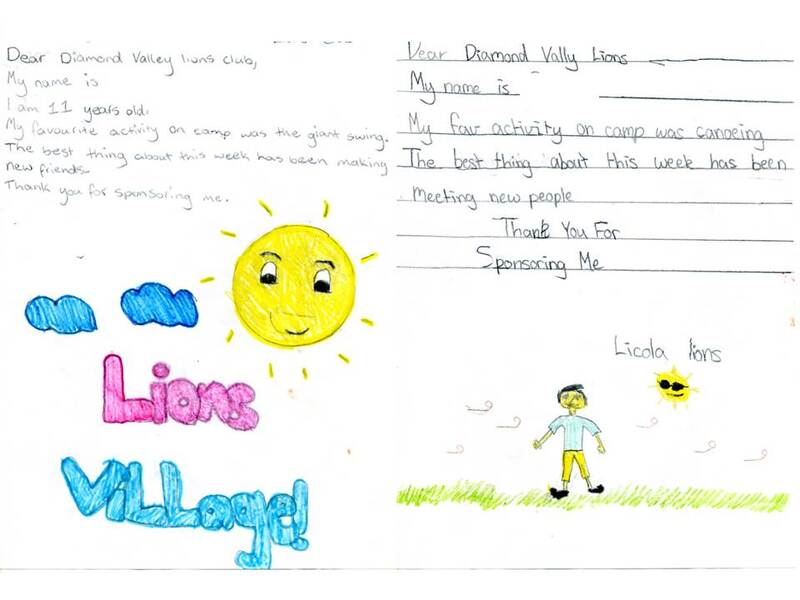 Once again Diamond Valley Lions Club and the Blue Light Disco were able to sponsor some local kids to go the the Licola Camp in January 2015. The fantastic letters of appreciation speak for themselves, they must have had a fantastic time!! !